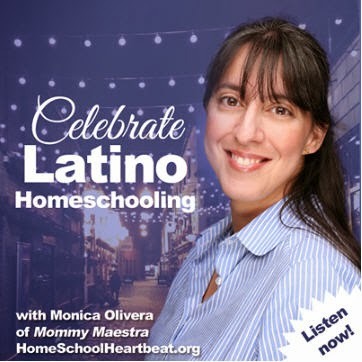 I've been getting a lot of messages lately about homeschooling preschool and kindergarten. 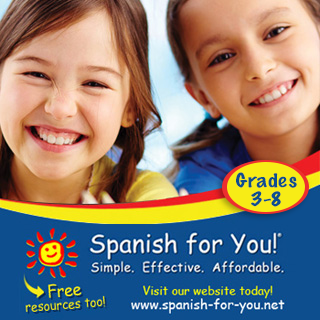 One of the main questions has been where to find bilingual materials. So I'm excited to share with you today, a new independent store online: Kinder Bilingüe! The store may be new, but the materials aren't. They've been created by Juliana Suarez for the last few years. 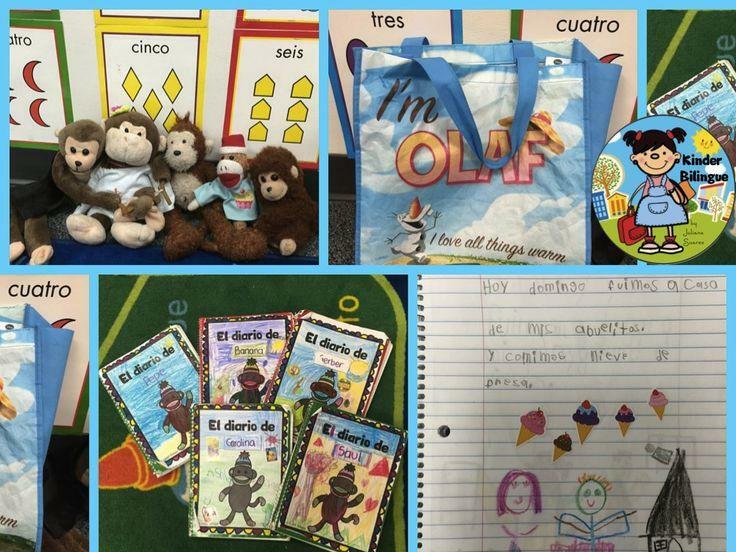 Juliana is a bilingual ed teacher who made these printables for her own students and decided that she would offer them to other teachers who were looking for similar materials. Her products are designed specifically for K - 2nd grade. The activities are so fun and are visually engaging with lots of illustrations. Or maybe you want to teach your kids money concepts, including personal finance and addition and subtraction? 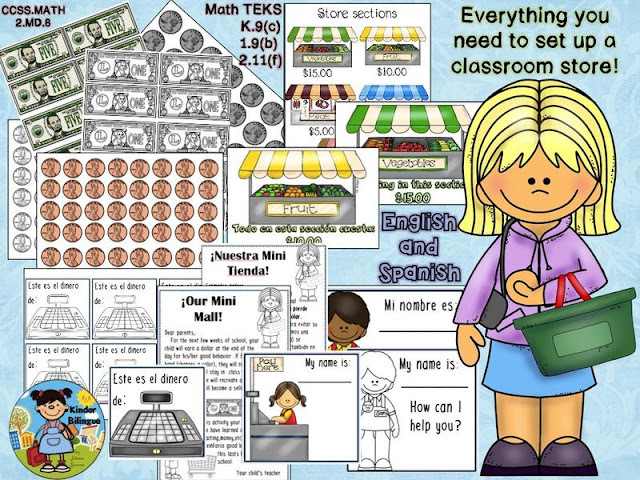 Then check out her bilingual Mini Mall that helps you set up a classroom (or home) store! 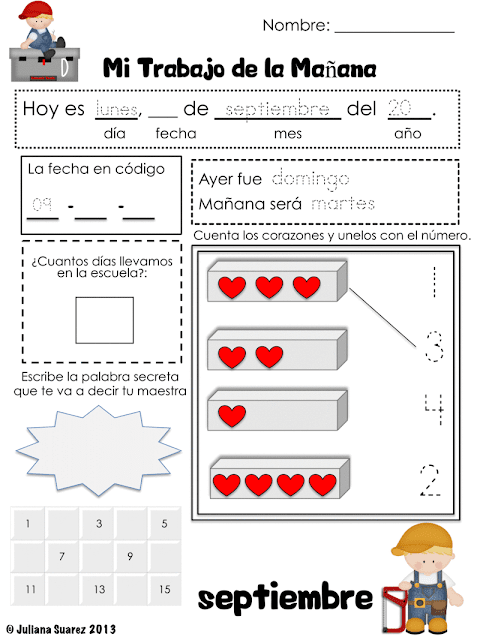 Are you looking for morning work downloads in Spanish? 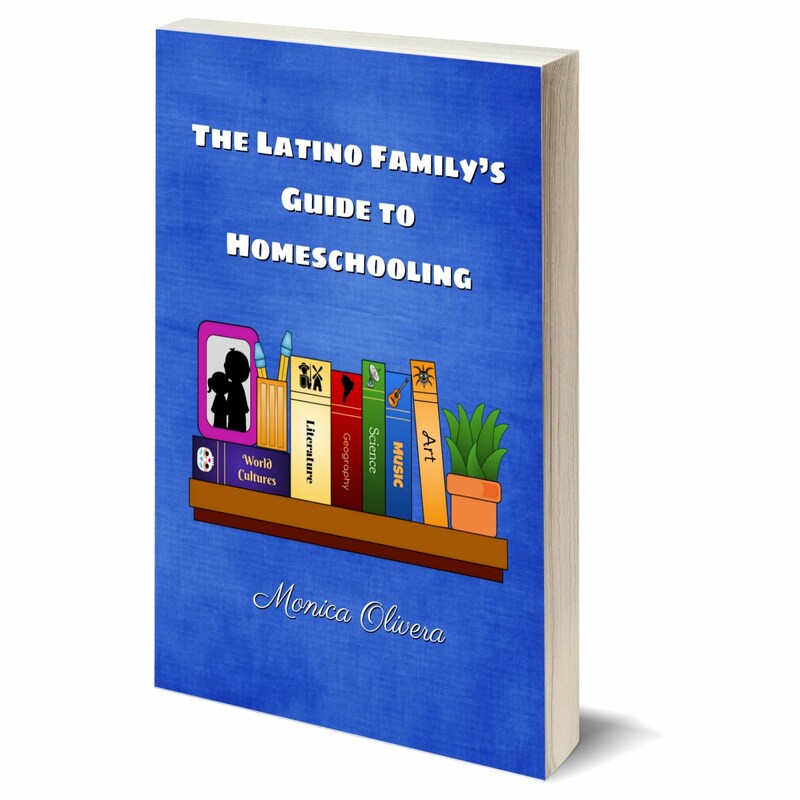 Juliana has packets available for every month (September through June) or one comprehensive bundle with over 300 pages that has all of the months combined for a discount. So far, Juliana has focused on writing and reading materials that may be used year round, especially this summer. But she has many others that she is in the process of uploading so be sure to check out her site regularly. 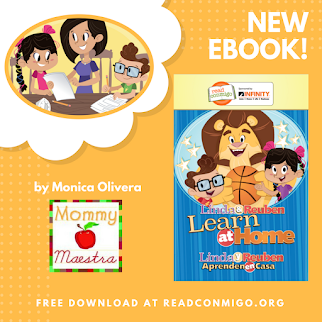 Juliana was kind enough to share a free download with MommyMaestra readers! 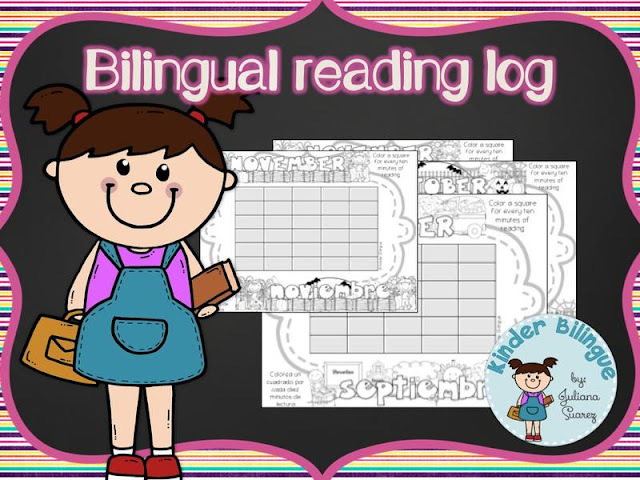 Her bilingual reading log is a good way to kick off the school year because they're so much fun to color and fill out. So if you are looking for high-quality educational materials for your students/kids in K - 2nd, I highly recommend Kinder Bilingüe! 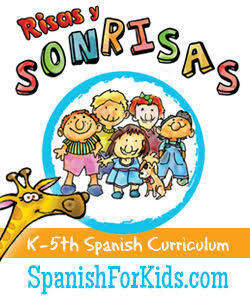 You'll take comfort in knowing that you're not only helping your child to learn, but also supporting a Latina teacher.